Love, love, love calligraphy. Just saw this on Hypebeast. 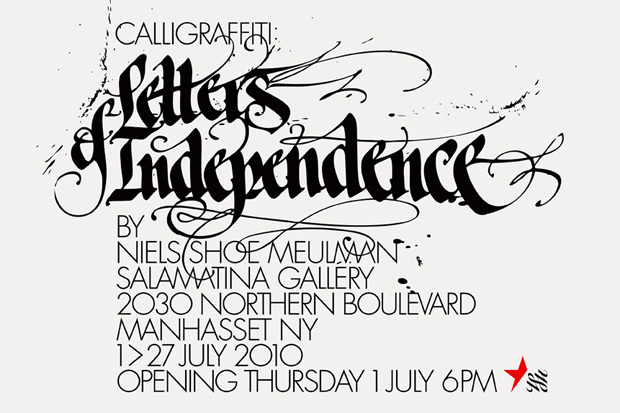 The Salamatina Gallery is pleased to host an unprecedented installation, Calligrafﬁti: Letters of Independence, by the cutting-edge artist Niels Shoe Meulman. This unique project will open on the evening of Thursday, July 1st with a live Calligrafﬁti performance. During his opening-night performance, Meulman will literally rewrite the 1776 Declaration of Independence on site at the Salamatina Gallery. 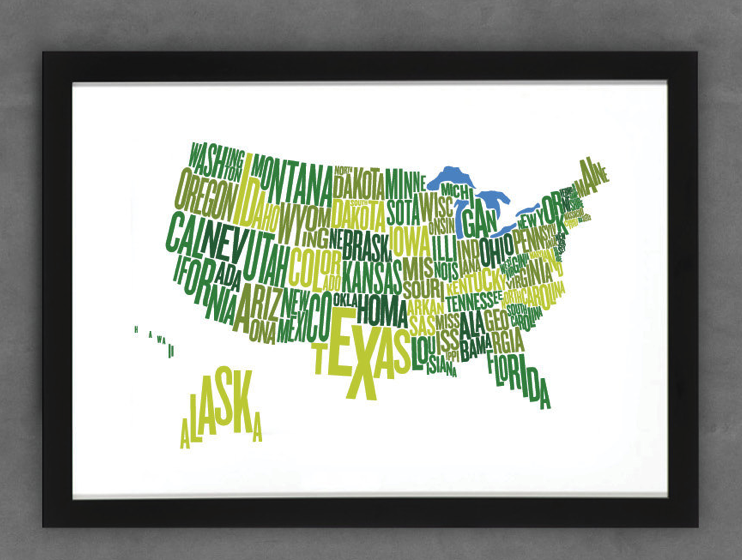 His Re-Declaration, which will take place over several days, will highlight all 1,337 of the historic words, resulting in 262 U.S. letter-sized pieces, executed in ink on paper. Showcasing the artistʼs ﬂuid and hypnotic style, these “Letters” will remain on view and for sale until July 27. Amazing. See the full post at Hypebeast.